VaynerMentors is VaynerMedia’s way of helping small and medium business hit a new level of growth and scale. It’s our way of taking everything we learned working with big businesses, and using them to help smaller companies unlock their full potential. 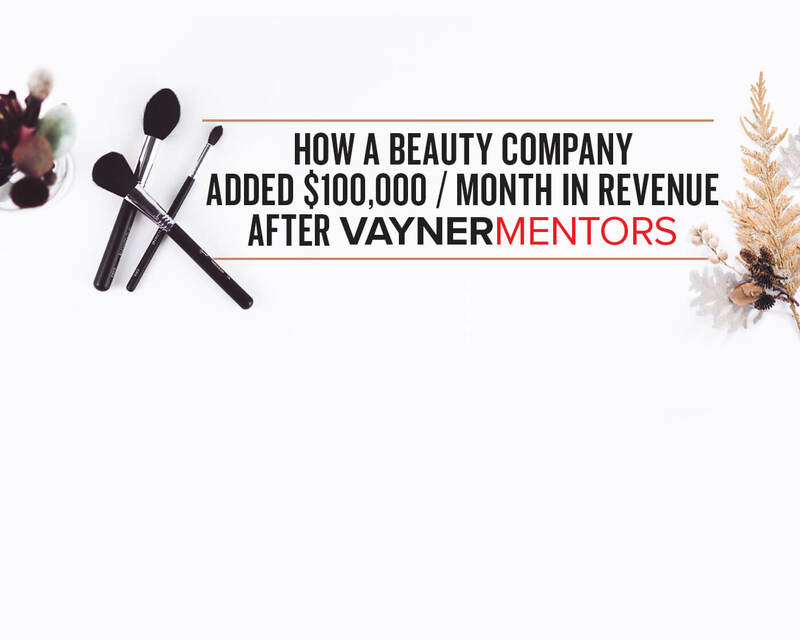 In this case study, our team interviewed Habib Salo, CEO of Young Nails — a beauty company that added $100,000+ / month in revenue after going through VaynerMentors. Click here to learn more about the program, and to apply. When you first signed up for VaynerMentors, what did you expect? Vayner4Ds was the first experience I had with a “VaynerMedia” program. I committed to 4Ds because of Gary’s content. I had listened to his podcast pretty regularly. 4Ds went way above and beyond my expectations. The depth of consultation and support I got from 4Ds incredible — not only did the entire team know their stuff, I also felt like they genuinely cared. So coming into VaynerMentors, I had a very good idea of what to expect in terms of the expertise and support I’d get. Was there anything that surprised you as you went through the program? First thing was the amount of value that was already in our existing customer base. For the last four years, I’ve been looking around for someone who could help me get “unstuck” in my business. We’d hit a ceiling, and just didn’t know where to go from there. Cross selling and upselling products to existing customers was a big opportunity that we just weren’t seeing, and it was almost like “how have we never thought of this before”? Second, it was thinking outside of the box on what we could do with our business and our brand three years down the road. Incorporating things like music and art into our brand was never something we thought we could (or should) do, but we learned how that could be a useful in terms of connecting deeper with part of the market. The third big surprise and takeaway was the social media side of things. When we came into the program, we didn’t even know what a pixel was. VaynerMentors was huge in helping us set up the technical side of things, dial in a cohesive Facebook ad strategy, and run ad campaigns. Lastly… biggest misunderstanding of VaynerMedia is how much business strategy you guys actually bring to the table. It’s beyond what anybody would expect. 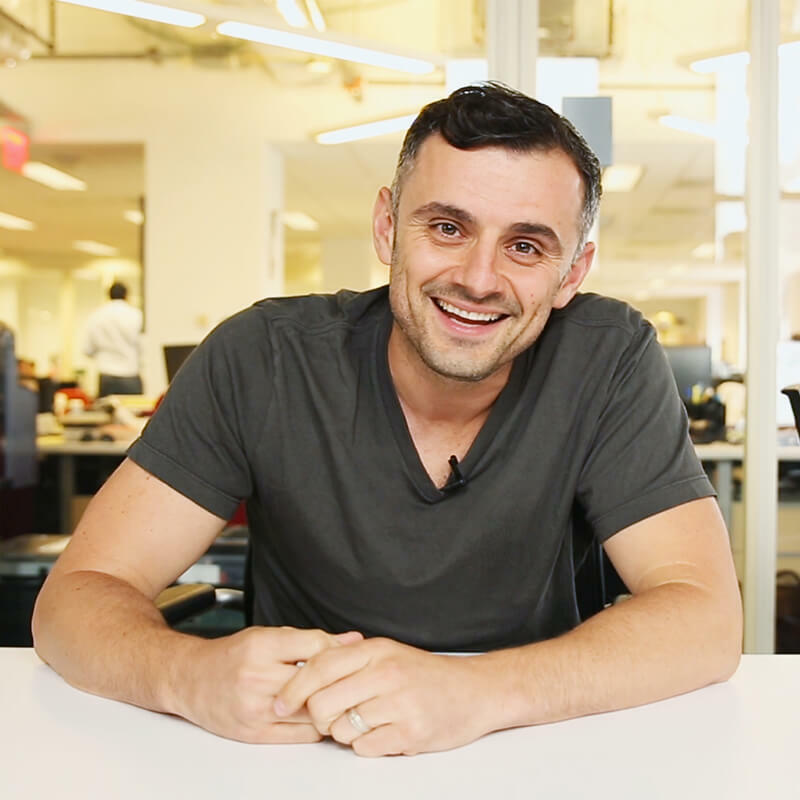 People who follow Gary’s content might think that VaynerMentors is just about social media marketing and Facebook advertising. But the truth is, it’s so much more than that. I didn’t expect that you guys would bring such a deep level of business strategy expertise to the table. And the best part is, it’s not just an “add on” to what you guys do from a marketing standpoint. You guys are just as good at operations and strategy as you are with marketing. You guys completely changed our business in the last three months in terms of actual sales — not just followers. When you look at the last 6 months, what kind of growth have you seen? We were doing around $60k / month from just one channel in our business in August of 2017. After VaynerMentors, we dialed in a strategy to create content consistently on Facebook, Instagram, and YouTube. And we saw that number jump to $100k / month. That’s a $40k / month boost just from doing consistent daily content on those three channels.It fluctuated up to $130k over the next 10 months. I met with Sid (Brand Manager for Gary Vaynerchuk) in June, and he gave me solid education in terms of how all of these channels work and how we should execute on them. It took a couple of weeks for us to get things dialed in. We implemented a more sophisticated Facebook ad strategy and Instagram campaign. We got the Facebook pixel dialed in, and the catalog dialed in w/ RSS feed with website. We ran multiple campaigns on both Facebook and Instagram — 1 targeted at customers who purchased products, 1 who added to cart but didn’t purchased, 1 targeted at users who were logged into website but never added to cart, and 1 to people who visited the site but never added to cart. We also had a broader ad strategy around targeting people who engaged with content in the last 180 days to drive conversions at the top level. As for revenues, things changed dramatically. In June 2018, we did $125k. In July and August, we kept sales over $100k at an 8-20x+ return on ad spend. In September we did $235k across multiple channels, and in November we’re expecting to crack $300k. We never even dreamed we’d be in this position. Staying committed to innovation in our business along with running ads on social will helped us do all this. What was your experience working with the team? How was it different than other consulting companies you’ve worked with? What Sabir (SVP of eCommerce at VaynerMedia) did for us in 6 hours is more than any consulting firm has ever contributed to our business. He brought so much common sense to the table, and told us how we could achieve big results by staying lean — without adding new warehouses or hiring a ton of new employees. In addition to the fact that you guys really know your stuff, I also got the feeling that you genuinely care. I had direct access to Sid and Sabir at all times for support — whether I had questions about a Facebook ad pixel misfiring or a deeper question about strategy. One time, I got on the phone and explained a problem I had, and Sabir was at our warehouse in 2 weeks. And all I had to do was cover travel expenses. You don’t get that kind of care with other consulting companies — or if you do, they nickel and dime you for every cost. With VaynerMentors, I feel a level of confidence in the future that I hadn’t felt before. I don’t have a single worry about the problems we have as we scale because I know you guys got our backs. I feel confident that we’re going to crush our competition in the next 5 years with VaynerMentors by our side, and no other organization has ever given me that. What would you say to someone who’s considering joining VaynerMentors but is on the fence? I genuinely feel like I’ve found this big secret. It’s hard for me to contain my enthusiasm here. If you’re considering this, just know that it’s going to be way beyond what you expect. The best part is that they actually care about you and your business. I’ve worked with so many consulting companies in that past and when it comes down to it, they just don’t care about you. They’ll charge extra for extra questions, bill you for extra time, and just won’t be accessible in the same way VaynerMentors is. The VaynerMentors team feels like family because of the level of access I have. Don’t pass up the opportunity because the price of this will go up significantly in the future. It’s that good. At VaynerMedia, we’ve worked incredibly hard to become world-class in areas like influencer marketing, e-commerce, emerging technology, IoT, and voice. Normally, we take those skills to and work with big brands like PepsiCo, Mondelez, or Chase. But eventually, we got so many requests for help from SMBs that we decided to add a new service to help them. We genuinely believe that we could add a ton of value for businesses in the $3M – $25M range that are looking to unlock real, meaningful growth and scale. We’ll start by dissecting your business, understanding your strengths, weaknesses, and business model. From there we’ll do a complete topline audit of your business model, organization, product, distribution, sales, marketing, advertising, paid media, creative, and operations to analyze every imaginable unlock to help you scale and grow. We’ll put together a step-by-step growth plan specifically for you, and help you execute. You’ll get access to our rolodex of fortune 500 companies, brands, and executives to help you scale. And you’ll have subject matter experts from our team accessible at all times. This isn’t just about Facebook and Instagram advertising. There’s been tremendous interest since we announced — so much that we stopped accepting new clients for 4 months. There were literally zero openings. But now, we’re opening up applications for new clients.